You are here: Home » Healthy Homeschool Moms Need Treats! 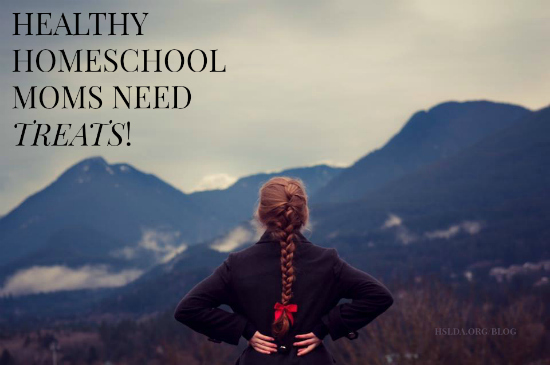 Healthy Homeschool Moms Need Treats! I stumbled on a fascinating blog post this week entitled, “We Must Have Treats! Here’s Why,” by happiness expert and widely acclaimed author Gretchen Rubin. I had never heard of Rubin, whose blog is read by millions each year (I guess I’ve really been in the dark! ), but after reading her post, I immediately connected with her. Treats help us to feel energized, restored, and light-hearted. Without them, we can start to feel resentful, depleted, and irritable. Do you recognize yourself in that last statement? Perhaps this concept sounds a bit scandalous to you; how can indulging ourselves possibly be good for our families? A treat isn’t just defined as eating something sweet or snack-y; it’s anything that we derive a bit of pleasure from which in turn energizes us, or comforts us, or makes us feel alive. What others consider work might actually be a treat to us (some people actually seriously enjoy dusting their furniture or vacuuming their carpets!) Be free to be quirky in your treat-loving! Something as simple as lighting a candle or taking a short walk can be a treat. The key is recognizing its value to you. Some treats are definitely not healthy; when we don’t consciously, regularly choose good treats, we end up feeling deprived, and as a result, we tend to choose unhealthy treats more often, as a way to balance out our feelings of deprivation. Because treats can be expensive in a variety of ways, it’s good to think of a list of small luxuries that don’t cost a lot of money, time, or energy. Why am I so excited about this concept for us as homeschooling moms? Let me answer that by sharing a story. This idea of needing treats reminds me of a certain season in my homeschooling journey – it was around 2002, so my kids were probably 4-14 (the busiest days of my parenting). I remember coming to the realization that year, that I was no longer a vibrant, joyful, creative human being; I was a robot, going through the motions, day in and day out, doing all the things that needed to be done each day, but doing nothing personally that recharged me. Don’t get me wrong; I loved managing my household, caring for my family, and teaching my children. It’s just that I felt like I had forgotten who God had made me to be. From a very young age, I was that child who loved to sing all the time and listen to beautful music (like Barbara Streisand; in 7th grade, I actually wanted to be her when I grew up). 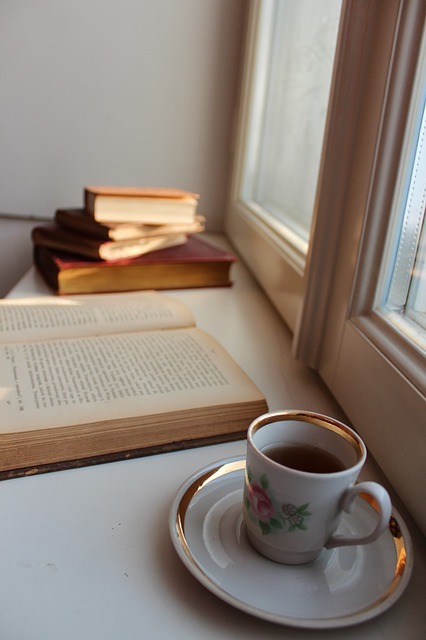 After I came to know the Lord in 9th grade, I was that girl who enjoyed playing her guitar, reading literature, and writing in her journal, who felt most alive when she had some time alone to be still and quiet before the Lord. And now here I was, lost in a world without dreams or delight or sense of joyful purpose. And I discovered what it meant to be alive, all over again. That realization enabled me to pour into my family with much more energy and enthusiasm and joy. And seeing mommy doing what she loved (even in little spurts) encouraged my children to pursue what God made them to love as well. Moms, when we feel deprived, we’re more inclined to grumble, feel depleted, and/or grasp at negative ways to “fix” ourselves or find balance. Choosing to delight in the Lord – in His Word, His creation, His people, even if the focus of that delight is in small or ordinary tasks or activities – reminds us that we are made in God’s image, that we exist for a good purpose, and that we are fully alive. ← Laissez-Faire or Fairly Lazy?